Medium-sized, handy, versatile knife with serrated blade. 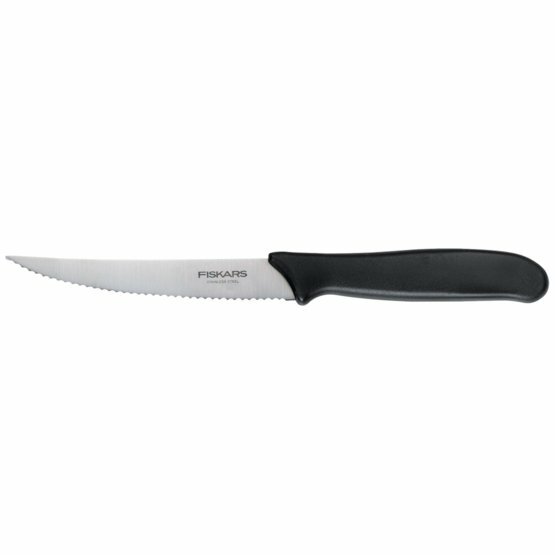 Excellent for cutting foods with a crust or skin such as bread and tomatoes. Suitable also for table use. Please note that this item is only available in a counter display box.